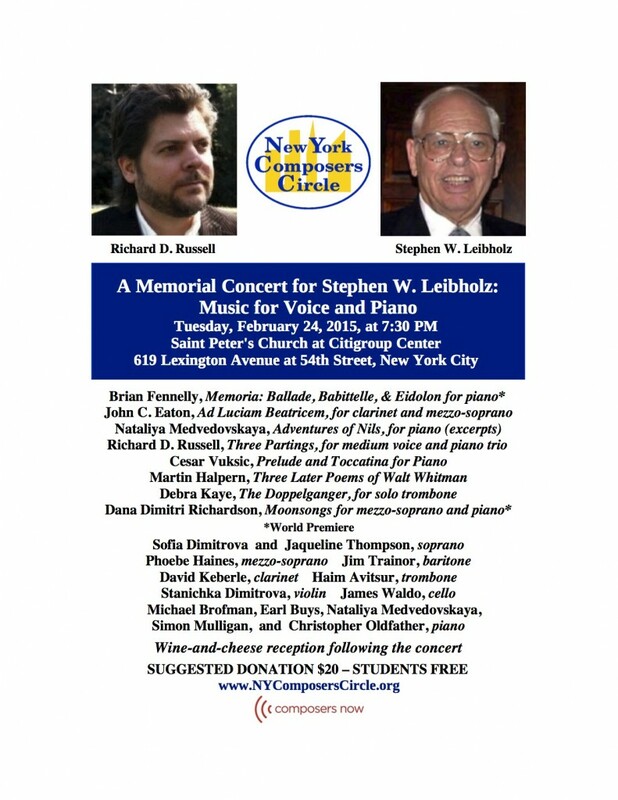 “Three Part­ings” for soprano and piano trio will be per­formed Tues­day, Feb­ru­ary 24 at Saint Peter’s Church at Cit­i­group Cen­ter. The con­cert is being pre­sented by the New York Com­posers Cir­cle, and sev­eral other com­posers will be fea­tured. See the attached flier for all the details!